Wow! That was a totally cool ride, but I'm glad I had a touch of the nip first! Do I have static cling? 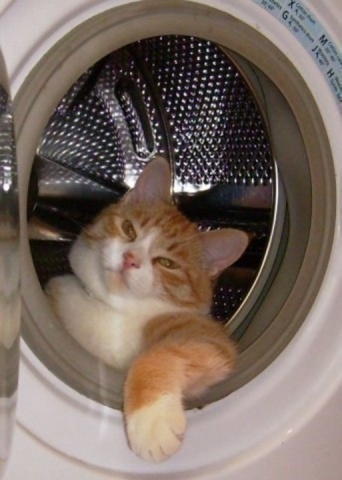 Note: Laurie Kay Olson's mother did once accidentally give one of the family cats a short spin in the dryer. It took a moment for her to figure out what that thumping noise was before she let the cat out. The cat was fine and lived to be 17 years old.